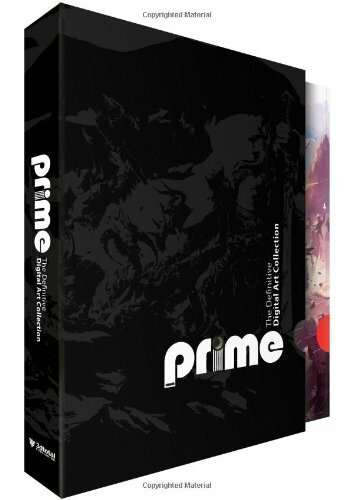 Prime: The Definitive Digital Art Collection is an interesting publication from 3DTotal Publishing for its format. Housed inside a large slipcase are five art books each covering a particular subject namely, Cartoons, Characters, Fantasy, Scenes and Sci-Fi. Each book is 80 pages, which makes the set 400 pages in total. The semi-gloss print quality is as good as other 3DTotal books. The book is somewhat similar to the EXPOSE series from Ballistic Publishing. Instead of having that many categories, here we concentrate on five. Each art book is a collection of wonderful art from artists all over the world. In Cartoons, you have humorous rendition of characters and scenes in either digital paintings or 3D models. In Characters, it's more serious with properly proportioned characters in either realistic and stylistic manner. Then there are Fantasy and Sci-Fi with breathtaking concept art of worlds realised. The environment paintings are amazing. In Scenes, there are even more environment art but focus on reality rather than fantasy and sci-fi. There are interiors, streets, buildings and cityscape. The art pieces are stunning. The ideas and execution makes this an inspiring set to go through. All artists also have their contact and website provided. Highly recommended to fans of digital art.